March 4, 2014. FOR IMMEDIATE WORLDWIDE RELEASE. Announcing MeowBit, the all-browser Anti-Censorship, Anti-Hijacking Dot-Bit Free Software for Windows. USA (WYOMING): THE BEASTLICK INTERNET POLICY COMMISSION announced today the beta release of MeowBit. 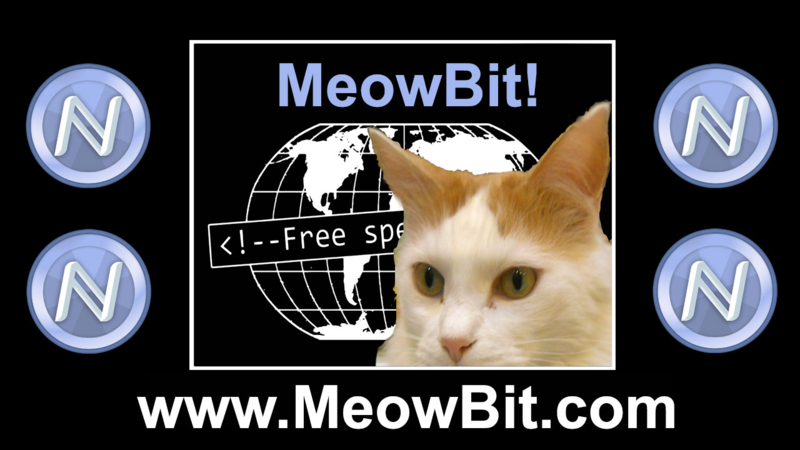 MeowBit is world-changing anti-censorship anti-hijacking system-wide Dot-Bit Free Software for Windows. MeowBit allows effortless viewing of Dot-Bit websites on any browser, and anywhere on your computer. This offers protection against website censorship and hijacking. It also works for e-mail, I.M., FTP, anywhere on your Windows computer. Dot-Bit is a new top-level domain that is not controlled by any government or corporation. Anyone can register a Dot-Bit domain in minutes using the inexpensive cryptocurrency, Namecoin. Dot-Bit domains are extremely resistant to being shut down or hijacked by governments, corporations or criminals. Dot-Bit domains are THE decentralized alternative to building your whole web presence on a Dot-Com or other top-level domain that can be shut down at any time for any reason by any government without due process. MeowBit is also resistant to DNS or HTTPS hijacking, which is common and easy with normal top-level domains. Hijacking is when someone redirects your traffic to an imposter website, which allows them to steal passwords or install malware. With MeowBit you can navigate on any browser from the regular web to Dot-Bit sites and back, effortlessly and securely. Website owners don’t even have to start a new website. Freedom Feens Laboratories has written tutorials on setting up a Dot-Bit domain for your Dot-Com or other top-level domain-website. Just give the .bit domain name out to your users and tell them about MeowBit. If anyone ever shuts down your dot-com domain, users will still be able to effortlessly get to your site using your Dot-Bit address and our MeowBit Free Software. 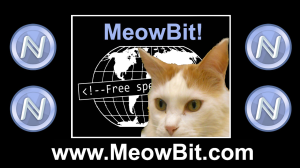 Freedom Feens Laboratories has also released the MeowBit source code to the public. MeowBit is a game-changing world-advancing leap for freedom. Please help the team raise money to perfect MeowBit, spread its adoption and the adoption of Dot-Bit, and help save the Internet from the central scrutinizers of the world. Donations are accepted via PayPal, Bitcoin, Litecoin and Namecoin. Michael W. Dean: CAO (Chief Anarchy Officer), cat herding, worm wrangler. Michael is a tech writer, first adopter, documentary filmmaker, libertarian talk radio host and musician. Michael worked on the release of FreeSpeechMe, an older method of surfing Dot-Bit that did not work on all browsers. Derrick Slopey: Entropy Descrambler, Python wrangler.